I was quite excited to have the opportunity to review this book. It’s a subject that I’ve been curious about, but haven’t read about as much as I would have liked. There was a great Foreward by Orion Foxwood who is an author and conjure worker as well, then we get into the Introduction, which Casas writes “I am going to try and write in a way even the novice worker will understand, and the information will also maybe help the seasoned worker as well. I feel that it is important for this work to be passed on, as many of the elders are passing and with them the knowledge they hold. I don’t want this work to die out; it is too important to my culture”. She then goes on to talk about how over the last ten years the work has been watered down and whitewashed. She writes about how respect for the work and the ancestors is critical, as is the fact that the work must always be justified. In this Introduction Casas gets into something called hotfoot work, which is “something done to move someone out quickly where they will not come back…that when you work with hotfoot products on someone, you could be sending their spirit to wander and be restless. The hotfoot work could cause them to never have peace and to just move from place to place” Reading about this I knew that this book would be talking about a type of magic that I have never practiced. Once I kept reading she does talk about why it is this way; that you need to think about how this work got to the place that it did- the horrors of slavery. She ends the Introduction with some common questions and answers, it is here too that I discovered the importance of the bible in old-style conjure. The next chapter is full of basic Q and A’s. It was a great idea to put this right at the beginning of the book. It touches on a lot of topics, and it’s a great idea to get it all out of the way. She did get to a question that I already had at this point in reading; and that was if you needed to be Christian for this work, and I think that a lot of people who are reading this are probably Pagan. Her answer to that is “No, you do not have to be a Christian. But if you remove the bible, then you are no longer doing conjure work; you are doing something else. The bible is an integral part of conjure. There are a lot of folks who would love to take the bible out of conjure, but if you do, then it is no longer conjure.” This answer seemed kind of silly to me. Clearly you need to have a bible to do this work, and you need to believe in what you are doing. So all in all, you do need to be a Christian in my opinion. After reading the whole book, there are for sure things that I took away from it, and I feel like I could take many aspects of conjure and wicca and put them together, but for the sake of this review I just need to say that it seems contradictory to say that you don’t need to be Christian, but then immediately after say that if you take away the bible, it’s not true conjure. The rest of the Q and A really does touch on a lot of subjects and it was a great chapter. It really did answer a lot before even getting into the meat of the book. Chapter two is about ole time religion. This chapter was overwhelming me with talk about Christianity and the bible. She also mentions numerous times how tricky conjure workers are. I did find this chapter repetitive and a lot of the same information that I just read in the introduction were stated again in this chapter. The following chapter is about the foundation of conjure, and it was full of a lot of interesting tidbits. A great way to sum up the chapter is to quote the author herself. “The blood, suffering, and deaths of the ancestors ensure that this work belongs to them. They should be honored and remembered for their great gift. They are truly the foundation of Conjure, and we must all remember without them there would be no conjure, Hoodoo, or rootwork, or whatever name you wish to call the work.” She then answers more common questions and gets into an altar. It reminds me a lot of a pagan altar and she also talks about giving small offerings, just like a lot of Wiccans do. It was good to see some similarities and some things that I personally could connect to. The next chapter she covers the topic of an altar to more extent. She also touches on the importance of colour, like when deciding what colour cloth to use. The 5th chapter expands on offerings. Again, I found some similarities between Paganism and Conjure; especially in relation to honoring Spirit (even if we are talking about two totally different definitions). I did find aspects of this chapter a bit confusing as on one page she talks about leaving an offering on your altar for a few days, but no longer than a week, but on the following page she talks about leaving offerings on the altar permanently- so I wasn’t too sure what way would be the best in that aspect. The chapter on divination was one of my favorites. Bone reading and card reading are the main focus and style of divination when looking at conjure. I’ve always been curious about old style divination and have only really heard stories about bone reading so I really enjoyed that section, and it was cool to hear about chicken feet being used in real life. She says that “Each bone tells its own unique story. The thing to remember is to relax and let Spirit guide you in the reading.” And that resonated with me. A lot of the time in life you need to just relax and listen to Spirit and see what it makes you feel. Another cool thing in this chapter was the topic of protection when doing divination, which to me was just a Christian way of casting a circle. There was also a lot on trinity, which as a pagan the power of three resonates with me as well. So I liked the similarities to my own religion. The card reading part was different than what I expected, as usually when I read or look into card divination it’s usually involving the Tarot, whereas in conjure you use just a regular deck of cards. I want to give it a try for sure. Following that, there is an excellent chapter about the spirits of Conjure that focuses on the ancestors, elders and spirits. I think this was my favorite chapter of the book actually. She gets into the historical ancestors “those who fought against the unjustness of slavery, of the wrongness of one man owning another man, or someone who fought against the odds and achieved something that was almost unachievable for a nonwhite”. And she tells the stories of many of those people. After educating the reader about that she delves into spiritual ancestors of conjure, with the first being Big Mama. I loved hearing all the tales of these spirits, as I hadn’t really heard of them and it really was a great read and would be informative to new and old conjure workers. Chapter 8 was all about places of power. Which, I am aware of the importance of location when working with magick. The first place she touched on what the graveyard, which makes total sense to me. I’ve always been cautious and have avoided working in a graveyard except for a few times out of respect for the dead. Casas is a very blunt author and I appreciated that for this chapter. “Use your common sense when you are dealing with the graveyard and the dead that live there”. One thing that did get a bit repetitive was the use of “use your common sense”. It showed up many times in just this chapter, but also throughout the book. But, I understand where she is coming from. Something I took from this chapter especially was when she talks about a “wash”; which is a cleansing. I’ve done and heard of a lot of methods, but she does talk a lot about Christian prayer and I am used to casting a circle, or something similar and it’s always interesting to me to learn about different methods of spiritual protection. She gets into many other places of power including the police station, the banks and hospitals, which honestly I haven’t thought about ever doing magick in any of those three locations. Following that was a chapter all about light. “Fire has always been a part of spiritual work from the time the first people discovered it. Whether through candle lights, lamps or an actual fire, folks and spiritual workers alike recognized the power of fire and what you can do with it”. That quote sets up this chapter well, as the first things she talks about is candles, which is what most people work with on a day-to-day basis. She also gets into talking about oil lamps, and a nice little feature is the basic spells she gives for both types of light-work. She moves from light to conjure waters. This is a very neat chapter with a lot of information that is new to me. I never thought of using things like dishwater and toilet water. There is also something called Tar water and War water. It’s a short chapter but she touches on some neat information. After that she writes about dirts and dust. The dirts are used to make conjure powders. She tells the reader here that she is sharing information that she’s never written about before. She reminds the reader as well that not all conjure work is “sugary and sweet” and gets back into the topic of slavery. She lists the different types of dirts and dusts used, but there is a pretty noticeable error in this chapter and she has the exact same post about termite dust twice. The last three chapters sum up a lot in the book. Casas delves into various things that are hidden within the culture, things she did automatically as a child because that’s what she was taught, without even realizing why. I like the personal touch here. The 2nd to last chapter is all about “Drawin’ and Removin’” Where she gets into attraction and reversal work and how you need to have an understanding on both sides of the fence. There is also a really great section in this chapter where she gives the reader a “Love yourself power work”, which I think is just fantastic. Then there is a final Q and A and a few more examples of work you can do. The last chapter is titled Africanized and she gives a bit more information on the history, the bible, and the culture itself. All-in-all I really enjoyed this book. I learned a lot about a topic I’ve always been interested in and so I felt like I was being educated by someone who actually knew what they were talking about and I love the fact that she grew up learning conjure and didn’t just decide to pick it up as a hobby or anything. She has a lot of stories to tell, which makes the book that much more of a better read. The only negatives I have to say is that as a Pagan, I did find some things conflicting with my belief, and that there really should be a better index. She gives so many great examples of “spells”, but if you wanted to learn how to do something, there is no quick reference guide to find the page you would need. If you wanted to learn how to make a conjure bag for example, you would need to flip though the book and just hope to find it. I had to use a bunch of post-it notes to keep track of some things in this book. But- it’s great read and I think a lot of people could take something away from it. I enjoyed reading this book very much. 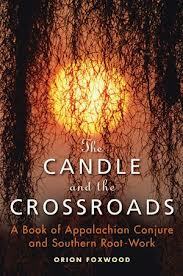 I found the glimpse at the beliefs and practices of the Appalachian people extremely interesting. It appears that it is a belief system that has been verbally passed on, and then continued by each successive generation. I really enjoyed his mother’s wisdom in simple words that he shared with the reader, it really brings her character to life. I also found it interesting that Mr. Foxwood has great reverance for the contribution made to “Southern Conjure” by both the African peoples, who were brought here as slaves, and by the Native Americans. I would also like to mention that the information he shares on different herbs and botanicals form that area of the country is super informative. Having followed a strictly Wiccan path for over 25 years I was surprised at some of the similarities, but amazed at the number of ways “Conjure” is done. I was surprised also to see a mix of biblical and elemental energy used in the types and techniques. This is not a book one can read once and sum up, it has been a lifetime of experience accumulated by the author, who fortunately is a very nice, approachable guy who was kind enough to provide me with a Q&A e-mail that will give an opportunity to have the author address the book in his own words. I appreciate Orion Foxwood and Kat Salazar providing this to be included. All in all if you are wishing to expand your spiritual knowledge in general this is a great place to start. Pagan Pages (PP): How did you come about writing the book, what was the inspiration behind it? Orion Foxwood (OF): I have been working with the spirit world all of my life. I grew up in a very agricultural community in the Shenandoah Valley in Virginia, which is an area rife with folklore and practices. My family is known for having the “veil”, which is a folk term for the “caul”, a placental sheath that falls over the eyes of the newborn indicating a propensity for “the blessing” also known as the second sight or ESP. My sister and I were both born with it. Please understand that though this gift can be a true blessing it is also a frightening thing when you are a child getting visitations from the dead. Mt first “token” as we call signs or communications from the spirit world was of my father hanging from a rope. When my mother took me to confirm her fears (which were that my “veil” had parted and this was a token), it was indeed quite real. From then on I was visited by spirits of the dead, of the “soon to be born”, of the woods and rivers and all other forms. In short, my world was and is teaming with spirit life. My first book (The Faery Teachings, RJ Stewart ) was prompted by my love of the Faery and Ancestral spirit realms and a desire to assist humanity (as a embodied spirit type) and the other spirit beings (noncarnate / Faery and elemental and discarnate/ ancestral) to come back to its place at the metaphorical table of creation. It was my desire to give insights, both ancient and contemporary, on the living nature of our world animated by a core vision and a creation family of which we are a part. My second book called “The Tree of Enchantment: Ancient Wisdom and Magic Practices of the Faery Tradition” (Weiser ) was to provide a visionary roadmap with insights and techniques that would assist the human seeker to find their way back into communion and co-creative partnership with the attending spirits of creation. My hope is that this book will help the readers understand and embrace their sacred presence as individuals and as a member of the human and earth-based vision of creation itself. In short, I call the insights “the re-sacredizing of life” through: alignment, attunement and agreement of the three souls that comprise us and which interface with the attending spirits in the ancestral, Faery, elemental, natural and stellar realms. (PP): I have heard that you come from a very diverse background, would you like to elaborate on these diversities? (OF): Yeah, I guess I have been blessed to be exposed to and mentored by diverse streams of wisdom and training. I am very grateful for these opportunities and the many teachers that have guided and mentored me. My cultural and familial life exposed me to some Appalachian and Southern folk practices specifically focused on the second sight, healing practices, spirit communication, and conjures. I met two traditional witches from Brentwood Essex England in the early 80s while being a bus boy at a restaurant in Winchester Virginia. They gave me some old lore and practices that were the first “witchcraft” teachings I ever received. These teachings are at the core of my work as they work with the “Witches Mill” that taps and channels power resident in the Faery Paths/ trods (ley lines) and wells (gatherings of this power) innately in the earth. Then I found a book on Witchcraft that fit with everything I understood to be true and this lead me to seek training in Wicca and later in traditional witchcraft. I moved from Virginia to Maryland where I studied with several Wiccan style teachers and was initiated into a Welsh tradition and later into Alexandrian Wicca and a form, which my teacher called Celtic Wicca. The Celtic Wiccan studies introduced me to my Queen named the Lady Circe in Toledo, Ohio. She was a hereditary witch who later incorporated Wicca and other occult practices into her work. I really feel that all of my studies in Witchcraft culminated in meeting and working closely with this incredible witch, elder, wise woman, and friend. Before her transition into the Summerland’s, myself and two other people (Lady Meshlamthea of Toledo and Lord Malachi of Indiana) were honored to become her mantle bearers. All three of us carry her mantle with pride, love, honor and commitment. I have also studied some Voodoo, mostly New Orleans practices and is part of a house founded by Mary Milan in New Orleans. Mary or “Bloody Mary” as she is known is as far as I am concerned the premier tour guide and poet priestess for New Orleans and its mystical and magical world (past and present). I have also studied closely with RJ Stewart who majorly influenced my Faery work. He is such a wise and ethical man! I have also studied closely with Dolores Ashcroft-Nowicki, who I consider to be one of the most anointed and sacred teachers I know. I founded a coven in Maryland (along with my then life partner and a few of my initiates) called Foxwood temple of the Old Religion in 1990 and co-founded the Alliance of the Old Religion, a network of covens and elders committed to preserving the lineage and teachings of Lady Circe. I am so grateful to these teachers and friends for being such fine examples of sound spiritual and magical practices. In the professional world I have been trained in addictions counseling, psychotherapy, hypnotherapy and public health program development. I hold a Masters Degree in Human services. I really feel that all of these mystical, magical and mainstream education opportunities have formed the “me” I am today and the helpful impact I hope to provide to fellow seekers of truth and healing. (PP): How are you connected to the Celtic Appalachian tradition? (OF): I pretty much answered that above. Though, I would add that the culture and traditions I grew up in were not purely Appalachian though it was influenced by it. Rather, it was a culmination of slave magic and lore, Celtic and Native American practices as well as just plain old family traditions. (PP): How does Faery magic come in to this tradition? (OF): This is a good question. My family and the people I grew up with would have rarely used the words “Faery” or “Magic”. Sometimes they would refer to the “Little People” or other more localized terms like “Woods Folk”, “Water Men”, “Green People” and other terms. Occasionally someone would say “Faery” but that was usually someone who read about them in books or who descended from Irish heritage more recent in immigration to America than those who had been in the Valley for more that 2-300 years. However, the “veil” was always intimately connected to three types of tokens: 1) signatures that would come to the seer such as a knock at a door, which would then be opened and a vision would appear; 2) “dreaming true” or simply having foreknowledge of events, which my mother called “the knowing”; or 3) direct communication from ancestral and other types (usually nature ones) of spirit beings that would bring messages. My mother had the #1 and #2 types of tokens, while I have #2 and #3. Because of this type of “blessing”, I have always been able to be a “bridge for the spirits”. There was a significant amount of lore about approaching the ancestral and nature spirits in the family, shared with my mother by Ms. Granny and given to me in informal chats etc and other social settings by elders in the community. “Faery Tradition” as I understand it in a cultural context is not a body of tightly woven material, but rather stories, parables, practical techniques and suggestions for avoiding these beings, placating them or gaining their favor. I always had a particular affinity with the unseen company. In fact, many elders in the community said to me that I had an uncanny way with the spirits…one which they either rarely seen or never saw in their lifetimes. Occasionally, someone would simply clutch their children and cover their eyes when my mother or me walked by. Thank the Goddess; this was a rare occurrence, indeed…LOL! (PP): How has Lady Circe affected you and your teachings? She absolutely loved my Faery work. In fact, she still does. If you look at the first edition of my book entitled “The Faery Teachings”, her face is the image for the Weaver Goddess in the vision key cards that accompany the book. The vision keys are the major inner contacts, threshold points/ beings etc. in the Faery Seership work I teach. This use of her image was so in line with her wisdom for she taught “the invisible connections between visible things” and working with “the laws of nature”. For lady Circe, we witches are here to lead humanity to the light and the glory of the Goddess. As she once said, “we are here to cast light not shadows”. She considered the God and Goddess to be our parents and the Watchers, ancestral and Faery spirits to be our family. For us, the Craft is a secret society bound by tradition and spirit contacts and in the end “if blood is thicker than water, tradition is thicker than blood”. However, in keeping with my Queen’s wisdom, “tradition and the teachings of the Old Craft are banks for the river and the spirit of the seeker is the river”. We all know that the primary difference between a river and a flood is the banks and their capacity to guide water from its source to its destination and back again. I am hopeful that I do my spirit mother honor in the way I carry the Craft and the Faery Teachings forward to those who seek to be one with the “Ole Power” that pulses throughout all levels of life and in and before all time. Blessed Be!!!! (PP): How does the whole system work and why does it work? (OF): The “Tree of Enchantment” book really lays out a detailed and hopefully clear approach to the system, which I call “Faery Seership”. By the way, those seekers who eventually work with me in the apprenticeship program become part of what I call “the House of Brigh”. Brigh is the name of my otherworld Faery wife and the primary contact for the inner lineage of teachings I share. She assists with insuring that the information is contacted material and true to the actual nature of the Faery and ancestral forces as they exist now. She also guides my outer form (the surface walker) as a conduit or “bridge” for introducing and cultivating the co-walking inner contacts that eventually comprise the team of each seership student. The book gives a grounded introduction to this work without over-exposing the student to forces that require the monitoring and mentorship of an advanced seer. The lore, images and poetic interpretations in the book introduce the seeker to concepts and contacts as well as energetic patterns that are already known to us on many levels. The intent of the material is to re-introduce the seeker (in this case reader) to the overall living spirit world and their place in it. The system starts where all things start for us incarnate beings…in the physical or “surface” world. It begins with working with the ancestral forces (blood, genetic and societal/ familial) and the elemental and nature-based forces that form our bodies and the bodies and patterns all around us on which we all depend for sustenance. Once these re-introductions occur, then the system leads the seeker inward to: 1. the river of blood and the redemption of paradox, followed by a systematic and sequential re-introduction to: 2. the web of life and fate (the Weaver and her attending spirit women; 3. the visionary purpose within self and the earth herself (the Dreamer and his Faery beings); 3. fulfilled destiny (the sacred stone); and then upward to the stellar realms where the seeker is tuned into the river of stars, which is the universal rhythm of which our beautiful earth and all her children are a part. There are other vision keys beyond that point, but that is advanced work and it is addressed in The Tree of Enchantment. This is an oversimplified summary of how the system works but I hope it gives you a good taste of a very deep well of wisdom and mountain of vision. The system serves to answer what I call the three sacred questions which are as follows: 1) who am I? 2) what is it (the creator, god all-that is, or whatever you call the source)? and 3) what is my role (personal vision) in it? It is also aimed at cultivating a sacred approach to all life filled with enchantment and wonderment or what I call “the hidden heart of blue flame”. (PP): How does your Faery Seership effect you’re life and how you teach others? (OF): This work has absolutely transformed my life and this is consistent with the experiences of my students and many seekers who have worked with my published material. The teachings are very personal, non-hierarchical and familial when shared with others. In so many ways, it is very humble and folk based which is important in this age of lofty intellectual concepts and illusionary power maneuvers. I am always overcome with the sacred as it flows out of each student’s discovery of magic and truth through this work. In my personal life, working the material (and being worked by it) was often challenging because it forced me to “unbind the threads of illusion” and, we all have these threads to address in our spiritual development. Faery Seership is not for any seeker who avoids truth and transformation. It offers very real healing and spiritual growth benefits, but it is not an escape from reality…it is an emersion into it! I am overwhelmed with the number of people who have said this material gave their lives more meaning and tangible sacredness than they ever imagined possible. All I can say is that the Tree of Enchantments, the Vision Keys and the attending spirits are very generous and clearly, patient with humanity especially when we earnestly seek re-unification with the family of life as opposed to futile attempts to exploit or wage war on it. In the process of development through the Faery work, seekers begin to know that they are not outside the sacred (inherently flawed) and that they never walk alone through this “earth-school” where we live embodied and expand the realms through our discoveries. (PP): When did you begin the Faery seership apprentice program? (OF): About five or so years ago, I think. I currently have training houses in Florida and Maryland and have done some initial work for establishing a house in Northern Ireland. There are people in several other geographic areas in the U.S. and U.K. that have voiced interest in this work. (PP): Who initiated you into the old traditional craft? (OF): Again, though there are some overlays, the Craft is separate from the Faery Seership material. Many of the names of my initiators simply cannot be shared in such a public forum out of respect to them. I was originally initiated into a coven that practiced Welsh Witchcraft with some Native American Influences, then into Alexandrian Wicca up to the third degree High Priesthood. My last initiator was an Elder in what she called Celtic Wicca where I attained the third degree as well. Her lineage was two generations from Lady Circe, who was my most influential teacher. Lady Circe was very much a public witch, so it is appropriate for me to disclose her name. Traditional Witches and Wiccans adhere to the Law of Secrecy for many reasons and I must honor our ways. Lady Circe along with her High Priest raised me to the Eldership through our most sacred rite called “the Bridge of Light”, in a public ceremony on Beltane 2002, Lady Circe the mantle of her lineage and tradition to Lady Meshlamthea, Lord Malachi and myself. Without a doubt, this was greatest honor of my life as a witch. I will always revere Lady Circe as my Queen, mentor and role model for what it means to be a witch of the highest standard. (PP): What is it you do (Teach, write, etc…)? (OF): I recently retired as the High Priest of Foxwood temple of the Old Religion though I continue to advise it as the Founding Elder. I continue to advise and teach the Council of Elders for Foxwood temple in the tradition and practices of my teachers in Lady Circe’s lineage. I used to teach a lot more as I developed Priests and Priestesses to ensure the continence of our tradition and lineage. I could talk to you at length on these practices in another interview in the future if you like. Foxwood continues to teach seekers and if folks want more information they can go to Foxwood-temple.net. The primary material I teach in the public arena is Faery Seership and Southern Conjure magic. I already provided information on the Faery work. In the Southern Conjure material I teach crossroads, candle, and graveyard magic primarily. I do a lot of work with the ancestral spirits including the creation of what we call “soul or (soil) pots, entering and exiting graveyards, finding live graves (haunted ones), and other work within the confines of ethics and legality of course. From time to time I teach a series I call “The Ways of the Witch” where I share lore, practices and techniques. I also teach some material on the “veil” (second sight), its development, genetic components and use. (PP): How do your guided visionary processes work? (OF): The techniques I teach are focused on attunement, alignment and agreement of the threefold life (the three walkers) then I teach approach, engagement, exchange and mediation techniques with the inner contacts and attending spirit beings associated with the Tree of Enchantment. I have detailed a comprehensive seven-stage visionary process that forms the core of the visionary work as follows: 1) Anchoring (grounding and centering in the starting point); 2) attunement/ alignment of the walkers; attunement of the walkers to the “power of place” (the soul of the land where you are working; and alignment and attunement of the working space; 3) Opening the way between the worlds; 4) induction of the “rapture” (working trance/ luminal state); 5) traveling to the other world; 6) interaction with the inner-world presence/ spirit being; and 7) return and fusion (transference of the exchange or pattern to the outer world also known as “bridging”). The processes follow a specific formula though the exchange may differ depending on the beings encountered and the need of the partners or team (human and other). For clarity, the three walkers are as follows: a) the surface walker (the soul that “is” your physical form); b) the dream-walker (the subjective/liquid and underworld soul/body); and c) the star-walker (the transpersonal, stellar and electric/ energetic body/ soul). The visionary processes, as they work through the system works with all three of these in their realms and with the redeemed and helpful beings encountered there. (PP): When was your coven the Foxwood Temple founded? (OF): April 29, 1990. We have daughter covens in Utah, Virginia and Maryland and one aligned one in Oregon. (PP): Can you tell us about the alliance of the old religion? (OF): The Alliance of the Old Religion was spearheaded by Lady Circe and the three mantle carriers with the support and partnership of many of the Elders in the line and even with support and honorary membership of Elders from other lines such as Alexandrian Wicca, Strega and New Orleans Voodoo. When we had the original vision to form the Alliance for solidarity, support, cohesion and preservation of Lady Circe’s teachings we had no conscious idea that she would be transitioning into the Summerland’s soon thereafter. Our Goddess works our spirits in mysterious and perfect ways, doesn’t She? Because of the formation of the Alliance and the deep bonds between Lady Circe, the mantle carriers and Alliance membership, her lineage and teachings are assured to pass on and on to the generations of witches to come. We continue to meet, share, exchange and do magic and reverence of the Old Gods in the ways of our beloved Queen…Lady Circe. Long live the Queen! (PP): How important is family tradition and ancestral magick in the work and teaching you have done? (OF): In my Craft work it is central since we are preserving and teaching Lady Circe’s ancestral practices. Ancestral work is central to old-line witchcraft and is one of the hallmarks of authentic traditional Craft, as I understand it. I encourage my students and initiates to know the traditions of their blood too. Too much old lore and wisdom is being lost in our fast past post-industrial human life. This is sad because we are getting wings from new technology and intellectual approaches but too often losing the roots provided by tradition and heritage. These roots offer deep wisdom, cross-generational context, shared heritage and soulful meaning. In the Faery work, ancestral work is the first level of work and no other level can be approached without it with any exceptions EVER. We were all born to carry forward our ancestors in the fulfillment of the vision of humanity and the planet. No one is exempt from this work. We were born to resolve ancestral paradox, heal ancestral pain, re-enchant the world and free the magical power of our world to bring the stars here and “heaven” (though we are not Christian in approach) here and now. (PP): How do you see Faery seership in America? (OF): I am astounded by the level of interest in this work. I am also honored to be a conduit and servant to the Tree of Enchantment. At the moment I have more interest than I can currently keep up with. In the near future, I hope to be teaching this work full-time as my way of life and career. Faery Seership offers important answers to the human quest. It re-introduces the seeker to the sacred presence of humanity (ancestral and living) to the whole creative spirit world. It helps to heal the abandonment pain of a species imbued with the free will to step outside the balance. If we humans can truly grasp our role in the vision and destiny of the planet(s) and the stars, it will hopefully see the sacred presence and role in all things and stop being a frightened, lonely war-mongering and parasitic child. Nature (inner and outer) has been patient and will embrace us. I only hope (and I truly believe) that we will awaken in time to become partners with the rest of life. This is the aim of The Tree of Enchantments and Faery Seership. (PP): In terms of the future of our community what do you view as most important? (OF): I have a lot of thoughts on this. Like so many minority groups, we suffer from internalized Pagan phobia” and “Witch phobia”. It is time to celebrate our diversity and put away the childish need for absolute rightness. Too often we are our worst enemies. I do believe we must keep each other ethical and accountable. I believe that the earth religions movement and eco-spirituality offers serious insights and answers as long as we stay focused on the spirit of our work. Also, too many of our teachers and Elders are dying without their lore, techniques and insights being preserved. We almost lost a lot of Lady Circe’s. Please folks, if you love and respect your teachings and your teachers…. take the time and make the commitment to preserve them (not literally your teachers mind you…mummies are out of fashion). We all know that the Goddess and the Old Ones before Time will replace what is not needful. Lest claim our needfulness in the world and let our wisdoms flow into a world that badly needs it. (PP): If people want to learn more about what you do or perhaps even contact you how would they do that? (OF): I do not have an Orion Foxwood or Faery Seership website as of yet though it is planned. Seekers can email me at Foxwood-temple.net or write me at P.O. Box 5128 Laurel MD 20726. (PP): Do you have any other works in progress? (OF): I continue to refine the material for the apprenticeship program. I have a bunch of new material I am developing and anticipate writing some more Faery work, ancestral magic and even one on what I call “the Living Goddess”. I have some other works in progress but as we say in the Craft, “Speak not lest the spell be broken”. LOL!!!!! I thank you and the readers for your time and interest in my work and that of my Elders. May we all find our place in the sacred circle!!! Bountiful Blessings and Thanks go out to Orion Foxwood, for his compelling insights into “The Tree of Enlightenment”, and the magick of the Faery tradition. “The Tree of Enchantment”, by Orion Foxwood is a gleaming light shinning in a world where it is sorely needed, granting the reader a well-defined path leading to an accumulation of astonishing magnitude. “The Tree of Enchantment”, is not just another mystical new age book it is a piece of literary genius, which offers the reader a glimpse into the profound knowledge of an authentic spiritual tradition. May you receive and claim it when it is revealed. May the forces of fear and atrophy tremble before your power. May the Vision keys open the doors most profound. May the Holy Fire sear the shadows and lights your way. You are always loved and you never walk alone. Blessed be the seeker and the Holy Tree. For all as one, so shall it be”. While working on this interview with Orion I have come to the understanding that one must open their eyes and their hearts to the Ancient One.